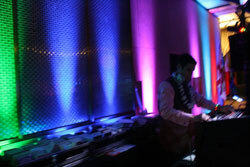 Best Of Times offers lots of entertainment options that can enhance the "FUN FACTOR" at your event! Uplighting – These lights will make any room pop! Video projectors and screens – Great for montages. We also offer video production services. 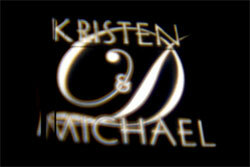 Monogram aka gobo light – Can be personalized with your initials or text. Can be placed on the dance floor or a wall. Honeymoons, Destination Weddings & Family Vacations – Contact professional travel agent John Estrada to help you plan the perfect getaway. Videography – The best way to capture your special day! Moon bounces – Fun for all. They come in a variety of styles. Slides – Choose from several types and they are available in wet or dry. Light–up dance floor – Dance on our LED floor. The floor has endless colors and patterns.